A warm and friendly welcome awaits you at Higher Venton Farmhouse Dartmoor Bed and Breakfast, Widecombe in the Moor. A 16th Century thatched Devon longhouse nestling in the green, unspoilt countryside of the Dartmoor National Park just half a mile from the picturesque village of Widecombe-in-the-Moor. We are a 130-acre farm providing traditional farmhouse Dartmoor B&B accommodation with good wholesome cooking using fresh farm produce wherever possible. Seasonal Cream Teas are available but by booking only. Please telephone 01364 621235. 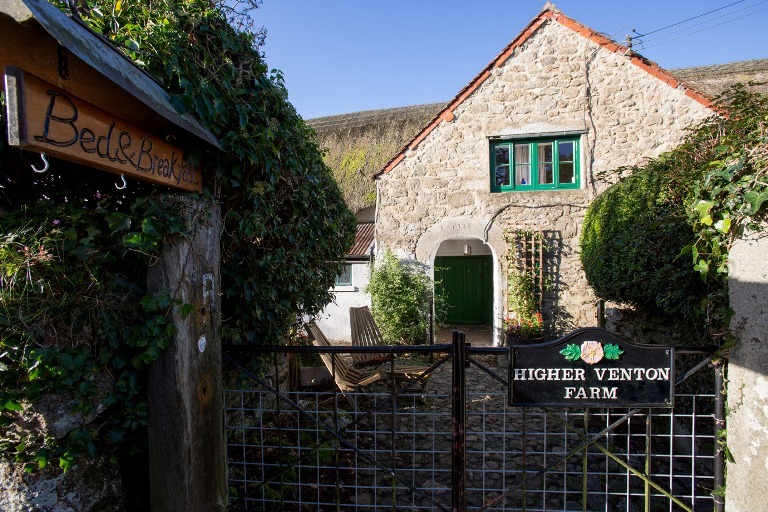 At Higher Venton Farmhouse Bed and Breakfast - your holiday can be as active or relaxed as you wish. You can simply unwind and soak-up the peace and quiet of our beautiful countryside or, for the more energetic there is a riding stables five minutes’ walk down the lane. 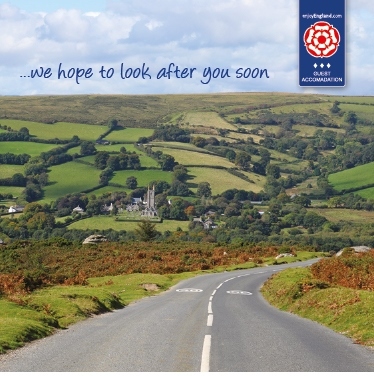 Why not explore the rugged beauty of Dartmoor - all 365 square miles of it. Join one of the many guided walks. Why not make us your overnight accommodation for the 'Two Moors Way'. The Two Moors Way is a long-distance path that runs from Ivybridge in South Devon to Lynmouth on the coast of North Devon, crossing parts of both Dartmoor and Exmoor (and passing into Somerset) along the way. A pleasant fifteen minute walk down a country lane, past our local real ale inn leads you into the pretty village of Widecombe-in-the-Moor, renowned for it's September fair with Bill Brewer, Peter Gurney, and Uncle Tom Cobley and all! Clustered around the beautiful church of St Pancras, often referred to as the Catherdral in the Moor. There are shops, cafes, a National Trust shop with information centre and a 600-year-old public house. Higher Venton Farm Bed and Breakfast © 2018. All Rights Reserved.